Buenas noches a todos / Goodnight everyone is a dual-language book from the I Can Read Spanish series. The books in this series are aimed at young language-learners and use the magic of a beautifully illustrated story together with bilingual text to introduce young children to Spanish in a natural and relaxed way. 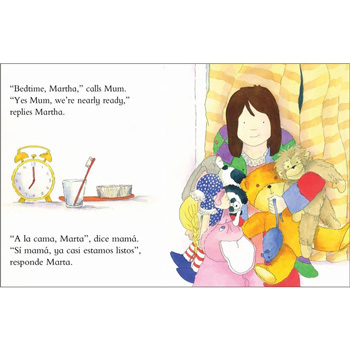 In this story, Martha is nearly ready for bed but first she has to put all of her cuddly toys to bed. Will there be any room left for her amongst her animal friends? Includes a guide to pronouncing the Spanish, plus helpful notes for parents. Includes an attractive bilingual picture dictionary (with pronunciation guide) to identify new key words in the foreign language. 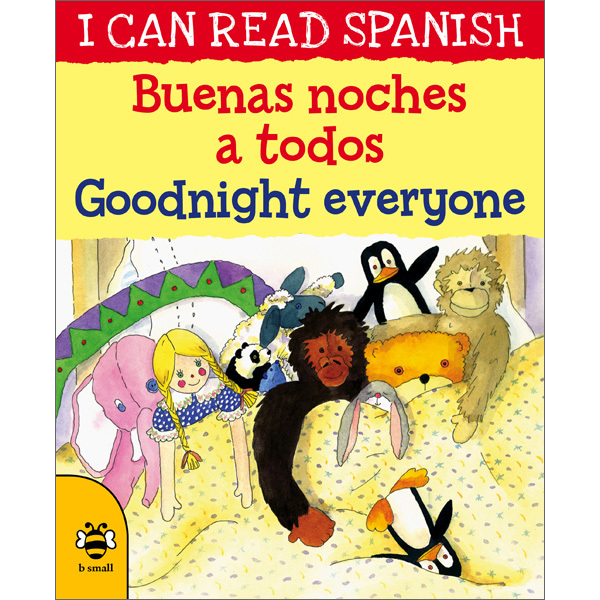 I can read Spanish - Buenas noches a todos / Goodnight everyone is aimed at young learners of Spanish. It includes support for parents with little previous knowledge of Spanish to enable them to enjoy this book with their child. I can read Spanish - ¡Feliz cumpleaños! / Happy Birthday!